Please see how to become one! As a soloist Gijs Kramers has performed Bela Bartok’s and Hans Henkemans’s viola concerto and Mozart’s Sinfonia Concertante. In the summer of 2000 he joined the Festival d’art Lyrique in Aix-en-Provence where he made solo performances of music by John Cage, George Benjamin and Pierre Boulez. Gijs is currently a member of the Philharmonia Orchestra, London. Next to playing in the Ruysdael Quartet he also often takes part in music theatre productions, like with Combo ’01. 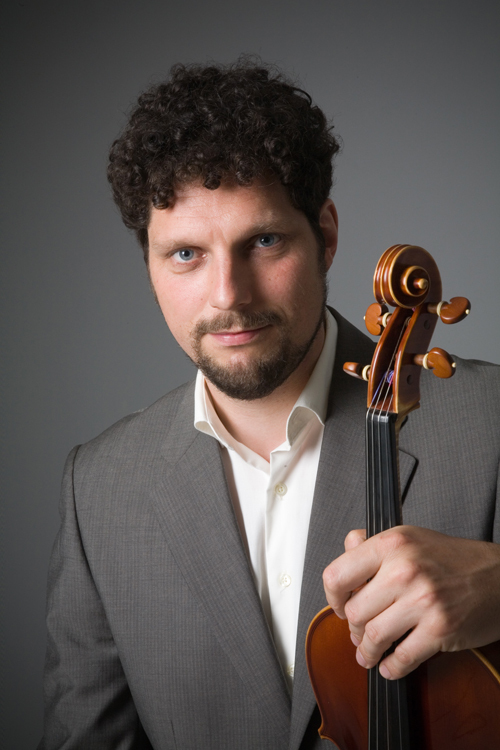 Gijs Kramers studied viola in Groningen, the Royal Conservatory of The Hague and the Musikhochschule in Hannover with Cees Dekkers, Vladimir Mendelssohn and Hatto Beyerle. He is also a keen arranger, composer and conductor. He is artistic director of the Ricciotti Ensemble. His works having been included in programs by the National Youth Orchestra of Holland, the Ricciotti Ensemble, the Tate Ensemble and the Netherlands Student Orchestra.